As the new year comes around, many people start thinking of that perfect New Year’s resolution. And one of the most common resolutions is health and/or exercise related. This year, the Bay Club is helping members and staff focus on their health for 2019. 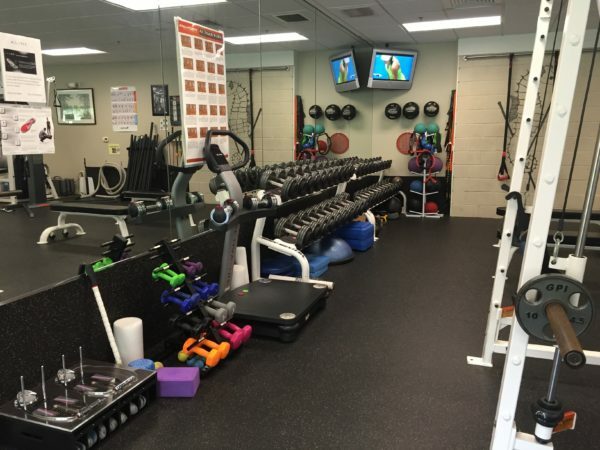 Sports and Activities Center Manager, Matt Beatty has put together a program entitled Winter of Wellness and the goal is overall self-improvement. The program is team-based with one staff member heading a team of five Club members. Individuals will earn points for their teams in a variety of ways, including exercising at the Fitness Center on their own or with their team, taking various fitness classes offered at the Club, personal training with our Fitness Trainers, attending a Wellness Lecture or Weekend Wellness Walks. Matt will be conducting weekly Fitness Challenges and monthly Fitness Gram Tests. And the Golf House restaurant is also joining in by offering special monthly heart-healthy dinners. A total of 51 members and staff have signed on to be a part of this great program. It runs through the end of March and the team with the most points at that time will be crowned the champions. The competitive banter has already begun and everyone is excited to get started earning those points while improving their health! 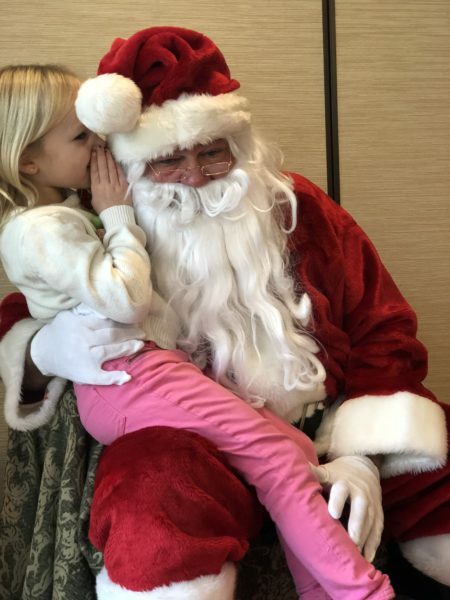 Santa Claus recently made his yearly trip to the Bay Club during our Breakfast with Santa and Gingerbread House Decorating workshop – easily one of the Club’s favorite children’s events of the year. Parents and grandparents brought their little ones to enjoy Chef Kent’s yummy pancakes with a variety of fun toppings such as Berries, Fruit Sauces and of course, Home-made Whipped Cream. 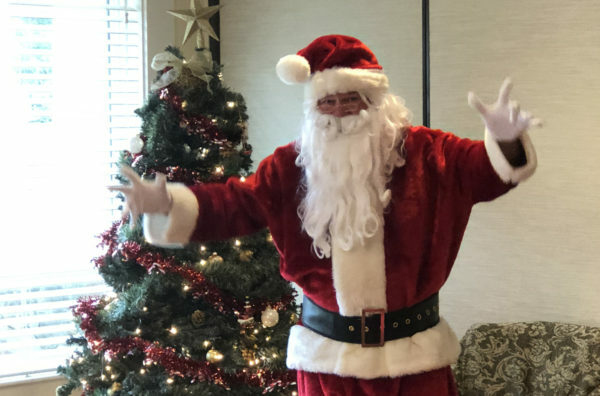 Following the meal, Santa arrived and led the group in some favorite Christmas carols. 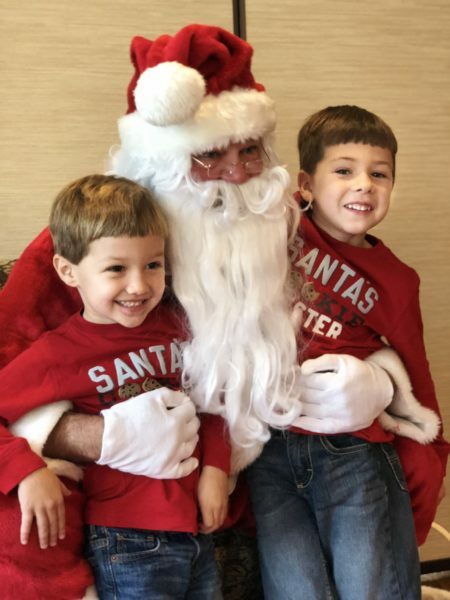 After which all the children had a chance to sit on his lap, pose for pictures and tell him what they want for Christmas. 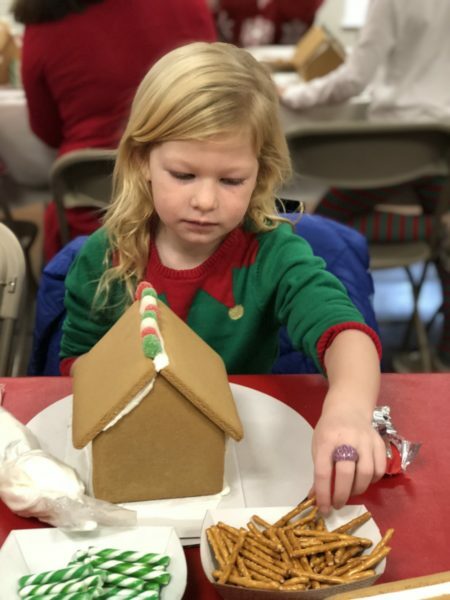 Once Santa was on his way to his next location, the kids moved on to Gingerbread House Decorating. Imaginations ran wild as they went to town decorating with the provided Frosting, Fondant and more varieties of candy than you can imagine. And parents and grandparents of smaller children were more than willing to dig in and help design the perfect house. 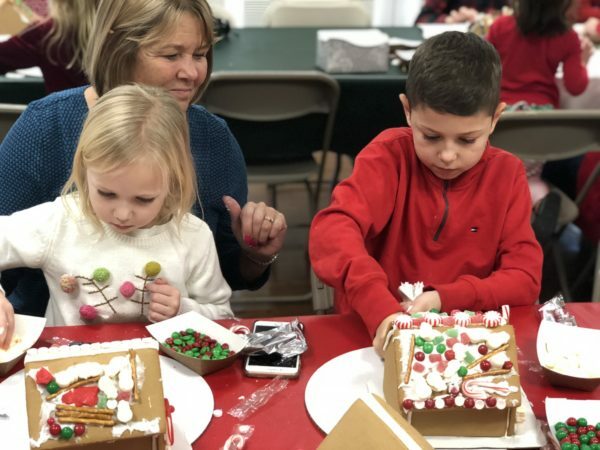 It was hard not to be in the holiday spirit after this fun family event!